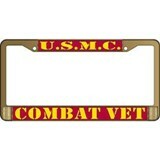 Now you can honor your country with a durable, quality-made USMC license plate frame. 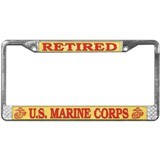 We offer a selection of frames for families of Marine Corps members as well as veterans and active service members. 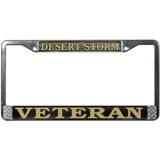 Show your pride on the back of your car with this product that's manufactured right here in the United States of America. 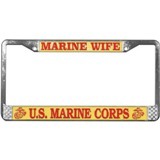 While you're at it, check out our other US Marine Corps automotive accessories, including hitch covers, automobile emblems, magnets, and much more. 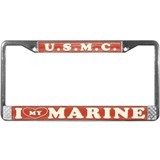 eMarine PX is an officially licensed company with the United States Marine Corps Trademark office. 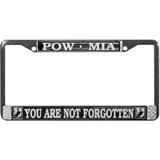 Remember, a generous portion of the proceeds of all our sales go directly to the MWR (Morale, Welfare, and Recreation) department, meaning when you buy our products, you're literally supporting our troops. 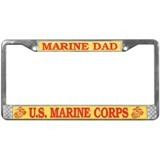 Shop affordable memorabilia with us and ensure that your money is going somewhere it's needed. 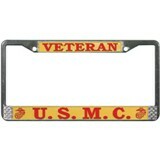 We offer free standard shipping on orders of $25 or more, and we ship anywhere in the world. 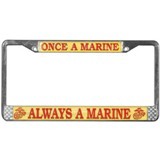 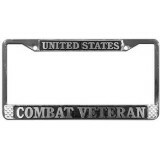 Order one of our USMC license plate frames today!